Global Alipay is a leading third-party online payment platform from the Alibaba Group, in China, and would seems to be at the TOP of Mind on Chinese Market, providing easy, safe and secure transactions for millions of users every day, is an escrow service that helps protect your payments when buying and selling. 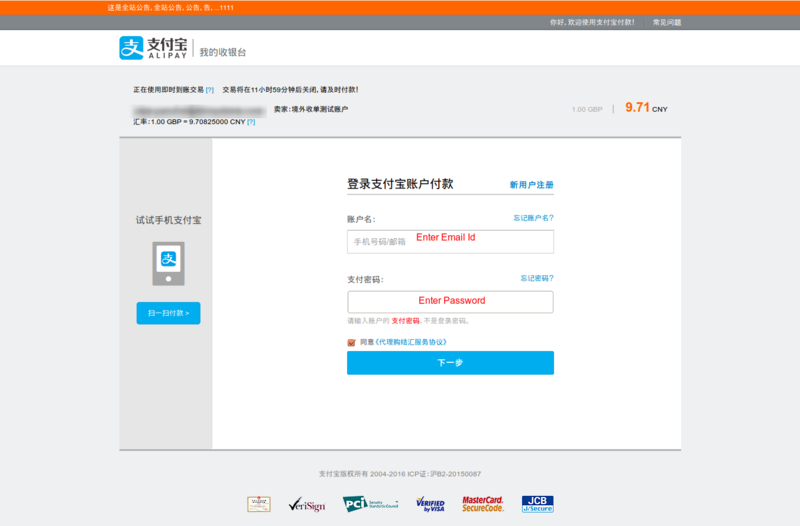 Global Alipay’s payment products Provides For Merchants and Solutions For Partners. Cross-border Online Payment, Cross border in-store payment, Customs Declaration are Products for Merchants work across a platform including desktop devices and smartphones. 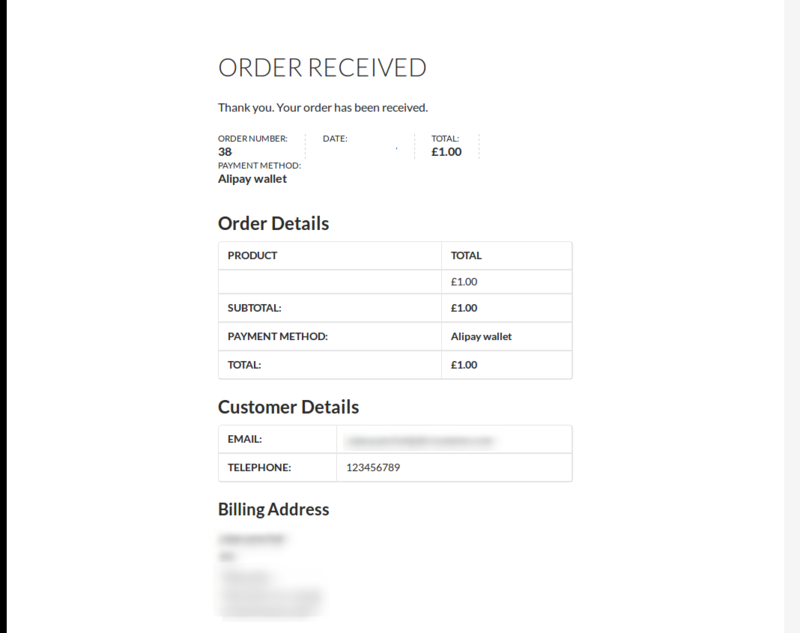 These Cross-border Website Payment products allow users to charge payments to their global Alipay account. 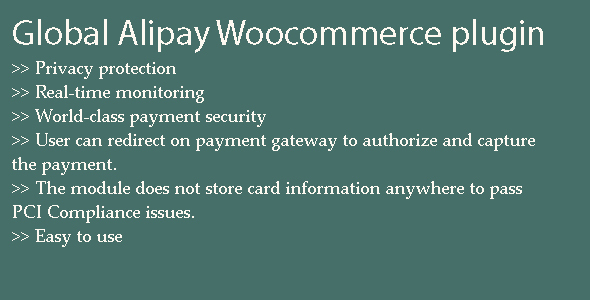 User can redirect on payment gateway to authorize and capture the payment. 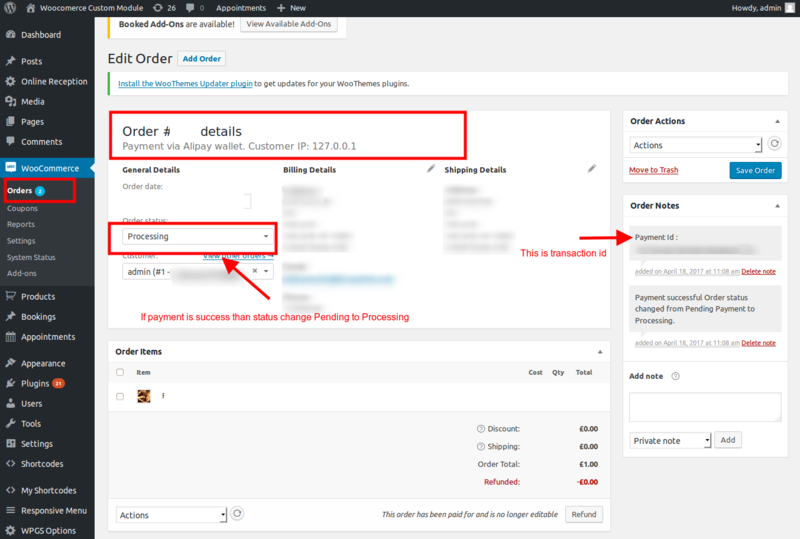 Set Enable from WooCommerce > Setting > Checkout > Alipay to Yes for active payment method and display in checkout page. 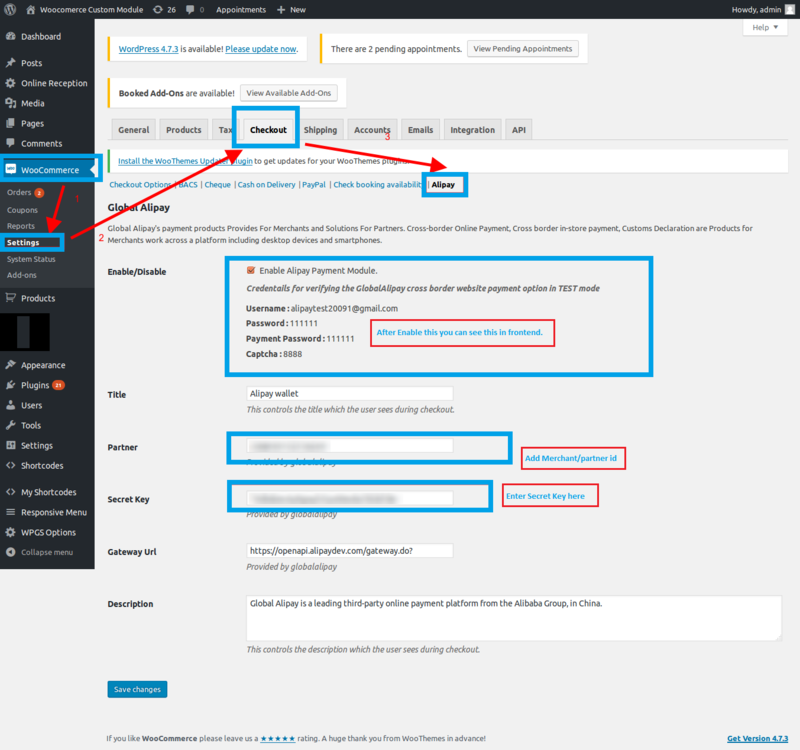 Set Title and Description as required, this will be appeared at front-end checkout page. 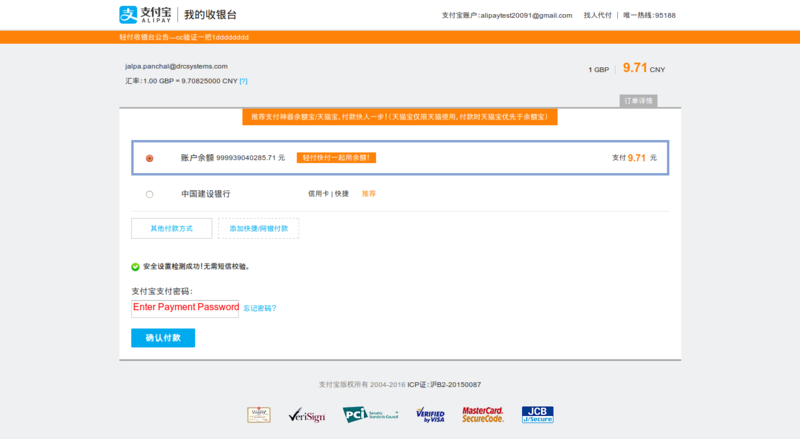 Get your Partner ID and Key from your Global Alipay account setting page and please enter in Partner ID and Key fields to the active payment method.